Patchwork Girl is a hypertext novel comprised of original fiction and borrowed texts, art and theory. 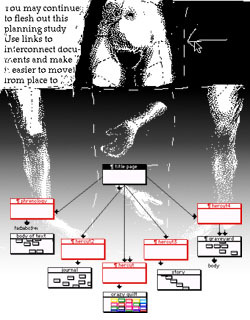 Jackson constructed Patchwork Girl in the Storyspace hypertext authoring system to tell the story of a female Frankenstein monster. Her work incorporates many original black-and-white illustrations. Now in its 5th printing, Patchwork Girl was first published by Eastgate Systems in 1995. It is currently Eastgate's best-selling CD-ROM title and is taught in classrooms around the world. 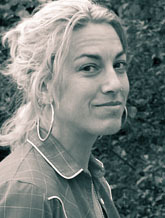 Jackson earned her AB in art from Stanford and an MFA in creative writing from Brown University. Her website, Ineradicable Stain contains or links to much of her writing in both creative and critical modes. Her first book, The Melancholy of Anatomy, will be published by Anchor in January 2002. Jackson also illustrates children's books, including two of her own, The Old Woman and the Wave and the forthcoming Alchemical Dog.